Our multi-stage variety development process involves evaluations and field trials over multiple years and locations to ensure durability of our product. It is of greatest importance that VDF Specialty Seeds varieties meet the expectations of a dynamic market-place shaped by an increasingly informed customer base. 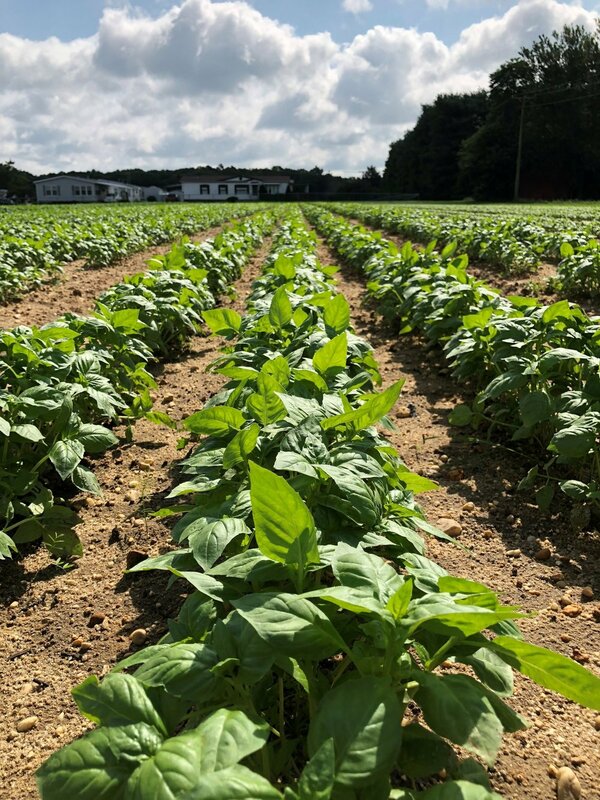 The Rutgers DMR varieties offered by VDF Specialty Seeds provide basil growers with a long-awaited arsenal of genetic resistance necessary to grow basil in locations prone to downy mildew. Below you will find a variety trial containing Rutgers Obsession DMR (left) and three standard cultivars under downy mildew pressure (Momence, IL). All varieties are untreated.